I can’t wait to get my certificate! A team of dedicated professionals will tailor your learning, care and support according to your individual needs. 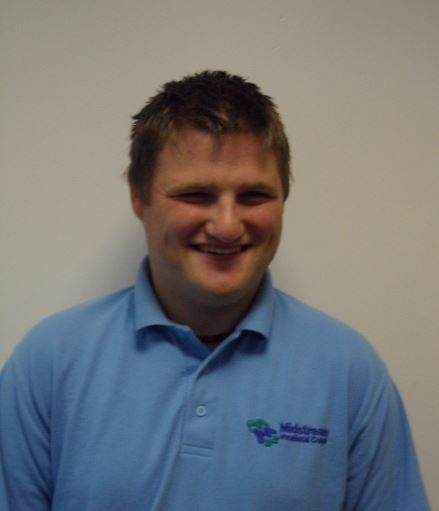 Sean is a friendly, energetic client who attends Midstream 5 days a week on the NOCN Pathways to Adulthood programme. Leaving formal education in his early 20′s, Sean needed ongoing support to develop his independence and skills for adulthood. Although he was full of potential and enthusiasm, Sean had difficulty maintaining his concentration in work and social situations. As a people person, Sean did not understand why he should not greet or show affection to everyone he met and needed guidance to maintain appropriate behaviour in the community. Sean is somebody who thrives in practical and outdoor learning environments. 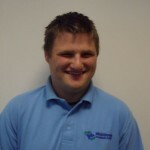 Midstream, with its commitment to hands on work experience, has proven to be an ideal setting for Sean. Sean needed a structured environment where he could develop at his own pace. Consistent boundaries were needed to support him to maintain his behaviour. Sean embarked on the Pathways to Adulthood programme In September 2013, following a series of successful taster days. He enjoyed a smooth transition into life at Midstream, forming good working relationships with staff and other clients within his first weeks. Sean has one to one support, which means he is supervised by a learning support assistant at all times, including breaks. Sean and his carers have long term ambitions for him to one day live independently from the family home and to find a secure work based placement he can take pride in. With these long term goals in mind, Sean was set personalised targets as part of the programme, which were achieved through a variety of practical learning opportunities. Sean completed onsite work experience placements across all of Midstream’s vocational areas, discovering that he enjoyed working in catering the most. Sean built on this experience by attending placements at the Don Orione Care Home, where he served residents tea and biscuits. With Midstream’s occupational therapist supporting Sean to gradually increase his independence in specific, achievable steps, Sean became more motivated. This year he has been central to running a weekly coffee morning in Orrell – an opportunity he would have found overwhelming when he first arrived. Alongside his work experience, Sean has also successfully completed his City & Guilds Skills For Working Life Award. As well as developing his employment skills, Sean has matured as a person and has been able to develop his self-control through clear and consistent support from his teacher and learning support assistants. Sean is now much calmer on meeting new people and has learned to introduce himself politely by shaking hands. He also engages in weekly taught British Sign Language sessions to enhance his communication skills. Getting involved with Personal & Social Development projects, such as starring in and editing a short film, have allowed him to develop team working skills and express his creativity. Through helping to run a healthy living week, Sean has also learned how to make healthier choices. The progression he has made during the programme has also extended into his home life. Sean’s carers have observed how he is much calmer during the evenings and that he is much keener to help around the home – especially in the kitchen! Referrals to our Pathways to Adulthood programme may come from parents, schools, colleges, Connexions/careers advisors and social workers. Please contact Pathways to Adulthood Admissions Coordinator for further information. We offer up to five free Taster/Assessment days for the Pathways to Adulthood programme. This is an opportunity for clients to have a taste of being a client at Midstream. They can join our classes and work in one of our work areas. This gives them, their parents and professionals an opportunity to see if Midstream is the right place for them. These days are also our opportunity to assess whether or not we can meet their needs and helps to form the basis of an initial assessment. In order to attend the Taster/Assessment days applicants must return a Pathways to Adulthood application form and Safeguarding Declaration. Following receipt of these we will make contact to arrange a start date for the Taster/Assessment days.